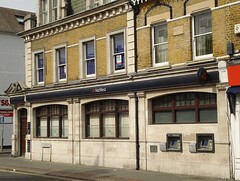 Bank on South End in South Croydon, with two external cashpoints. Last edited 2019-02-07 14:52:12 (version 16; diff). List all versions. Page last edited 2019-02-07 14:52:12 (version 16).